While the term "king tide" isn't a scientific term, it is used to describe an especially high tide event, when there is alignment of the gravitational pull between sun and moon. When king tides occur during floods or storms, water levels can rise higher and have the potential to cause great damage to the coastline and coastal property. are not an everyday occurrence. Carbon dioxide in our atmosphere acts like a blanket, trapping in heat that would otherwise escape. When we burn fossil fuels (such as coal, oil, or natural gas) for energy, we're adding excess carbon dioxide which thickens this blanket, warming the planet's atmosphere and the ocean. Sea level is rising as glaciers and ice sheets melt into the ocean and because water expands in volume as it warms. 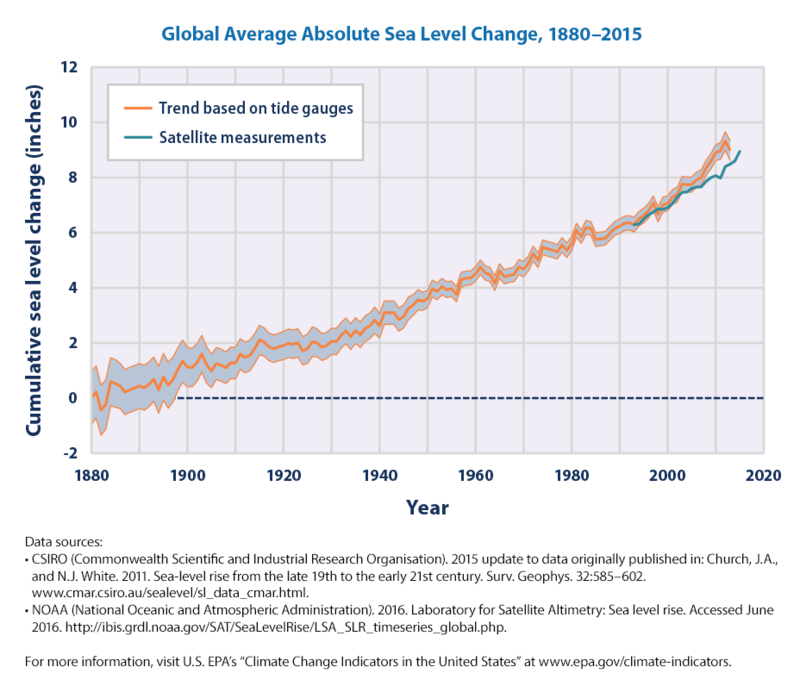 Increases in global sea levels have been recorded by tide gauges since the late 1800s, and more recent observations have been collected by NASA satellites. California will be greatly impacted by sea level rise. For example, San Francisco is projected to see a rise between 1.1 and 2.7 feet by 2050. By 2100, San Francisco could experience between 2.4 and 6.9 feet of sea level rise, depending on how strongly we curtail our use of fossil fuels, with a potential for more than 10 feet of rise if there is extreme melting of the West Antarctic ice sheet (State of California Sea-Level Rise Guidance, 2018 Update). During king tides, we can get an idea of what a rise in sea level of about one foot might look like in our communities. Learn more about sea level rise. serve as a living record of change for future generations. Photos may be used in presentations, exhibitions, websites and publications on sea level rise impacts, coastal initiatives and climate action. Photos may also be used by government agencies for research and planning to assess where the coastline is most vulnerable, and by scientists to better predict future sea level rise. Who is the California King Tides Project? The California King Tides Project was launched in the winter of 2010/2011 by a partnership of state and federal agencies and non-profit organizations. The California project is now part of a global network of King Tides initiatives along both coasts of the US, Canada, Australia, New Zealand, Europe, and Asia. In California, partners include the California Coastal Commission, San Francisco Estuary Partnership, Coravai LLC, California Coastkeeper Alliance, USC SeaGrant, Tijuana River National Estuarine Research Reserve, San Elijo Lagoon Conservancy, Tolowa Dee-ni' Nation, California State Parks, Friends of Five Creeks, Friends of Sausal Creek, Save The Bay, The Ocean Institute, Surfrider Foundation, Baylands Nature Interpretive Center, Big Break Regional Shoreline, Humboldt Baykeeper, San Mateo County, Elkhorn Slough National Estuarine Research Reserve, The Exploratorium, Port of San Francisco, Pacific Grove Museum of Natural History, Greenspace-The Cambria Land Trust.